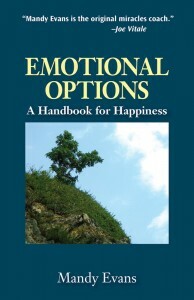 Follow this step by step handbook to free yourself from hidden beliefs that block happiness and success. Make healthier choices in life. Dare to reach for what you want — or attract it to you! This workshop-in-a-book shows you how to uncover, explore and discard the self-defeating beliefs that hold you back. When people discover that what they believe is just not true for them, they break out from anger, fear, and doubt that have seemed inevitable — often for years. The result is happiness and the infinite opportunities that await beyond limiting beliefs!